Together with Riva and Romaco Kilian, PPS supplies a number of different tablet presses from lab scale to large scale production. We offer highly flexible and productive solutions for tablet production solving the challenges of frequent product changes, changing batch sizes and increasing cost pressure. The tablet press equipment comes as standard machines as well as special solutions tailored to your specific needs. PPS also supplies supplementary equipment for powder mixing, milling and sieving, tablet coating and tablet counting. 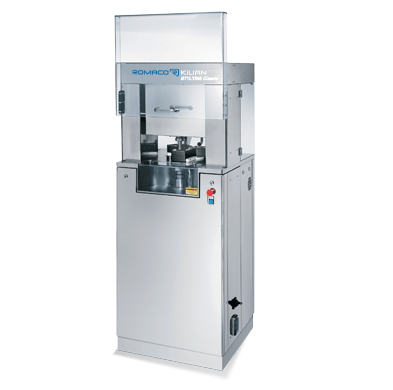 PPS offers a number of different tablet presses from Riva and Kilian, for R&D purposes and clinical batches, or as rotary machines for pilot scale production. Equipment is suitable for all types of tablets, including mono-layer, bi-layer, multi-layer and core-tablet production. Die and punch configurations available for B and D tooling or a combination of both. Designed in compliance with GMP regulations. 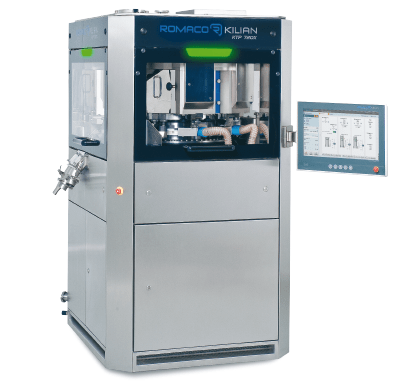 Kilian and Riva produce a number of different solutions for high-quality and high-speed tablet presses for small, medium or large scale production. 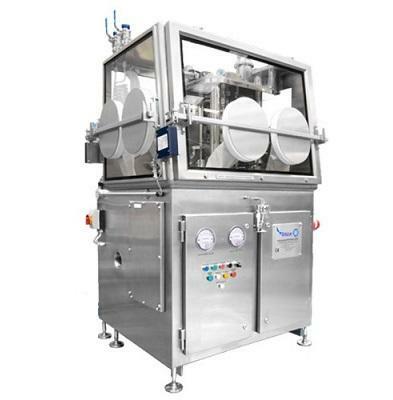 The tablet presses are available in four different configurations: single-layered, bi-layered, and double-layered tablets, as well as core-coated tablets (Tab-in-Tab/Multi-purpose) and tamper-resistant formulation (TRF). Solutions for compression of up to one million tablets per hour. Quick product- and size changeovers. Tablet presses are designed according to GMP regulations. 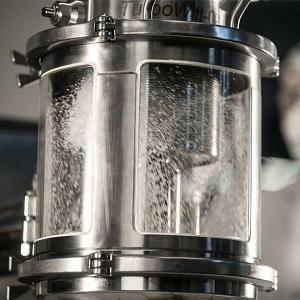 Together with Riva, PPS offers a tablet press specially designed for integration with containment isolators. The tablet press comes with glove ports, making it possible to maintain containment while performing product and size changeovers. Completely certified to OEL (OEB) containment level 5. Maximum output of 60,000 tablets per hour.